Mission/Edmonton – Representatives from the Mission Regional Chamber of Commerce were on board today for the historical #federationflight to take the message of building trust, and sustaining confidence in Canada to the Alberta government, and business leaders. 100 senior British Columbia business, Indigenous, community, and labour leaders were aboard the flight to Edmonton aimed at reinforcing our fundamental partnership that is the Canadian federation. This journey is The Federation Flight, and the men and women on board, like their fellow Canadians across the country, want to help bridge the threatening rift between the governments of British Columbia and Alberta over the Trans Mountain Expansion Project. “For the Mission Chamber, this was not just about a pipeline for us, this was about standing up for our business community and the erosion of our confidence on the global stage. Today, we had an opportunity to share our message with business leaders and government officials from Alberta to show that we are concerned about the deterioration of the trust and confidence in our country” said Executive Director Kristin Parsons. The Federation Flight is a continuation of the Confidence in Canada coalition’s efforts and supports a positive relationship among all Provinces of Canada, with the Trans Mountain Expansion Project as its catalyst. “This one-day trip to Alberta is a chance to reinforce the current importance of this country’s energy and resource sectors for the benefit of all Canadians. At its best, our federation improves our provincial economies, the economy of Canada, our international competitiveness, and our reputation as a great place to do business, in a country governed by the rule of law.” said Iain Black, President and CEO of the Greater Vancouver Board of Trade. 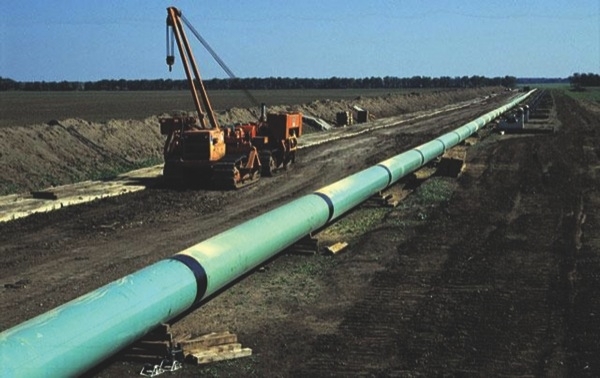 Black also points to a new Ipsos poll released today that shows 56 percent of Canadians support the expansion of the pipeline from Alberta to B.C.’s coast, reinforcing that this is a project firmly in the national interest. ‘It has been very frustrating to sit on the sidelines witnessing what looks like partisan politics over good governance and leadership in the public interest. This is why I was excited to be asked to join this Federation Flight” said David Sawatzky, Past President of the Mission Regional Chamber of Commerce. “The level of investment uncertainty which is created by these political squabbles has not been seen since the last Quebec Sovereignty Referendum. Our goal today was to demonstrate that there is a true desire by key business and community stakeholders to end these disputes and bring back investment certainty.” Added Sawatzky. The Federation Flight departed YVR early on May 17 for Edmonton. The visit was a full day including meetings with the Premier and government of Alberta, a luncheon presentation hosted by the Edmonton and Calgary Chambers of Commerce, and networking opportunities with many of Alberta’s business, Indigenous, community, and labour leaders. The Federation Flight returned to YVR in the early evening of May 17. Be the first to comment on "Mission Regional Chamber of Commerce On Board Federation Flight – Supporting Pipeline"